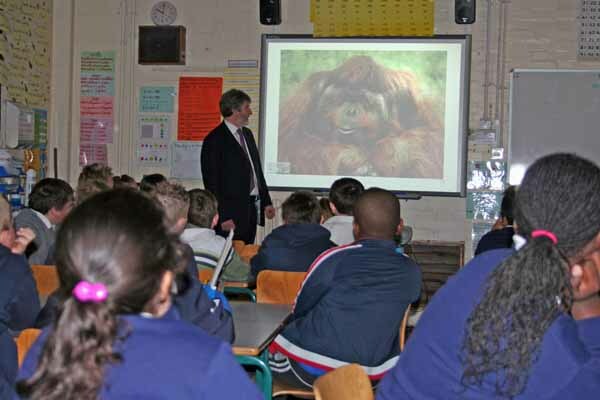 Clive visited Henwick School on the Page Estate to talk about the dangers of global warming. Clive has produced a computer presentation which explores some of the causes of and possible solutions to climate change. Clive has now given his presentation to most of the schools in and around his constituency. The government is shortly to produce a draft of its Climate Change Bill. “I want to encourage as many people as possible to participate in these discussions. Clive has welcomed confirmation from the Government that the new Crossrail line will stop at Woolwich. There had been doubts that a Woolwich station would be included in the scheme, but after pressure from Greenwich Council and the three local MPs, Clive, Nick Raynsford and John Austin the government decided that the station would be included. Under the plans drawn up by the Council, Berkley Homes will build and pay for the structure. Clive joined Charlton manger Alan Pardew at Eltham Palace to unveil new plans for a £6.5 million residential children’s hospice in Wensley Close in Eltham. The event also marked the official start of the Capital Appeal to raise funds for this vital new service for children and families in the area. There are an estimated 1700 children with life-limiting illnesses within the area that Demelza cover and 780 are in the South London area alone. The Capital Appeal will be asking for fund raising support from all areas of the South London community. Demelza relies almost entirely on fundraising and with the services already provided costing over £7,000 a day, extending those services will need the help of local companies, local groups and the individuals in the community. Anyone wanting to get involved in the project should contact the Capital Appeal Office at 1 Wensley Close, London, SE9 5AB T: 0208 859 7766 or visit Demelza’s website by clicking here. 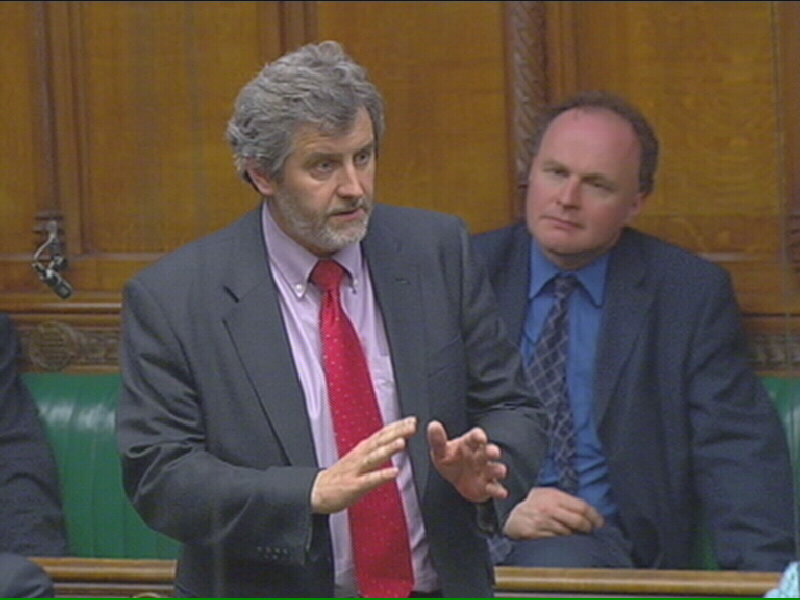 Clive is one of the sponsoring the Off-Road Vehicles (Registration) Bill which has been tabled by Graham Stringer MP. The Bill calls for a registration scheme to be introduced for mini motorcycles, trikes and quads. Speaking after the Bill passed its second reading, Clive explained: “The nuisance caused by these vehicles – and especially the mini motorbikes – has grown enormously over the last five years. According to the Home Office, complaints about these machines account for 40 per cent. of all complaints made nationally about antisocial behaviour. The current law does not give the police the powers to deal with this problem effectively. A registration scheme that requires those bikes to have a number on them, so that failure to register and number the bike means its immediate removal and destruction, is a tool that will give the police powers to deal with the problem without delay. The Bill would mean that the current system of registration for vehicles on the road be extended to off-road vehicles meaning that the machine and its keeper were required to be registered at the time of sale. The Bill would require the manufacturers to put registration marks on the machines. It would also give police officers the right, if they have due cause, to stop a bike without warning and if it does not comply with registration measures take it away and squash it. The problem has grown as the number of mini motorbikes imported into the UK has grown. The number has rocketed from 7,000 in 2001 to 144,000 in 2005. “A registration scheme that requires those bikes to have a number on them, so that failure to register and number the bike means its immediate removal and destruction, is a tool that will give the police powers to deal with the problem without delay.” Clive told Parliament.